In the past if one wanted to publish a book it was necessary to work with a publisher. 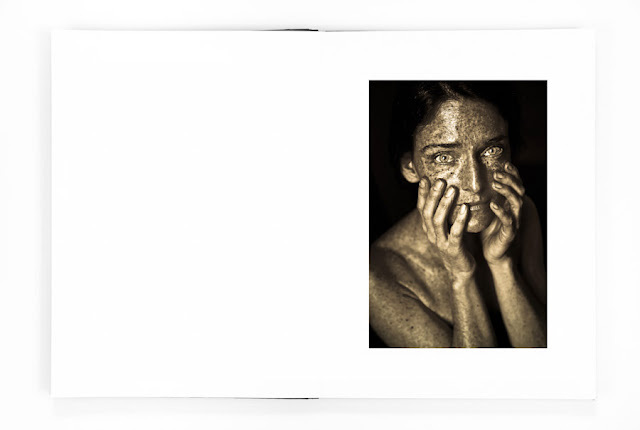 While traditional publishing may still have its advantages, many photographers today are opting to self-publish their own photobooks. 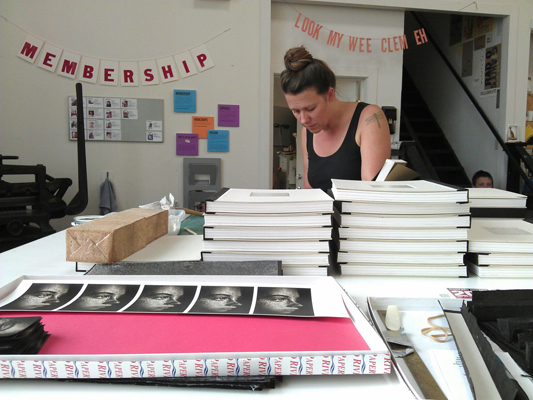 A wide range of new options are available -- the most common being print-on-demand books and zines. It can be a difficult process, but one of the payoffs of self-publishing is the complete control the photographer has over the final book. This is best showcased in the handmade artist book. Handmade books are not a new invention, but, as each one is unique, they sometimes feel like you are seeing an artist book for the first time. Anne Kelly: Tell us a little bit about the process of making the book. Fritz Liedtke: In the past I’ve created dozens of press-printed and photographic books, as well as sculpted books and small handmade books. But this was the first time I’d worked with a professional bookmaker, and designed a limited edition book. It was a lot more work than I expected. To begin, Rory and I talked through all the different binding options, seeing how they looked and how much they would cost. Since I had a budget I was trying to adhere to, we selected options that both looked great, but also fit the budget. For book style, we selected drum leaf binding, which allows the book to lay flat when open, not losing anything to the gutter. It also makes the pages extra thick, since each page is two pieces of paper bound together. We also spent hours poring over cover material options, considering everything from real wood veneer to leather to fabric. We ended up selecting a paper that is handmade by Cave Papers, and had them tweak it to match the color scheme of the book. They had this beautiful, thick, uneven black paper with mica flakes embedded into it. You pick it up, and it shimmers like stars in the sky; the effect was fairly stunning. We asked them to make us a more walnut/sepia tone version, which they did. 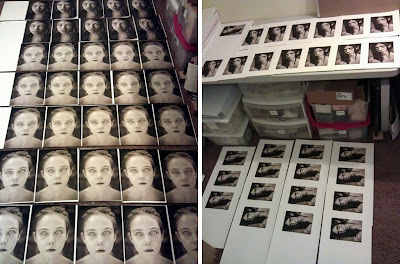 Being handmade, each piece of paper is different, which seemed appropriate for a book about the unique nature of faces and freckles. I spent a few weeks seeking out and testing papers on which to print the actual images in the book. I finally settled on a warm matte paper made by Red River. It was a perfect match for the warm images. Then I spent days getting the images properly registered and the values and color perfected. Once these things were in place, I spent a couple weeks making nearly 600 prints for the pages, hand feeding each piece of paper into the printer myself. During this time, Rory was at work making the book covers, and letterpress printing the text pages for the book. She also put together a proof copy of the book, which we reviewed and tweaked. Once I delivered the final image pages to her, she set to work binding the pages together, and finalizing the book, with some help from me. It was a lengthy and costly process, but I have to say the final product was worth it. Having such a beautiful book—a beautiful object—in my hands, and in the hands of collectors and collections, is a great feeling. AK: What are your thoughts on the book as object? FL: When I was in my teens, I remember picking up a Zane Gray novel from my grandparents’ bookshelf. I remember thinking to myself, “This book is solid; it is the perfect size and weight.” The heft of it in my hand, the embossed hardcover, the deckled edges of the paper, the lightly embossed text…it was perfect. It was the first time I’d thought of a book as something more than just a medium for words. Over the years, I’ve designed a few hundred books for clients, and for myself. I’ve also made a few handmade books in art classes. But more recently, having seen handmade books by Lauren Henkin, Heidi Kirkpatrick, Laura Russell, and others, it dawned on me that there was more to explore in the medium. Inspired by this, I created several hand-carved antique books, repurposing old books with my own images and imagination. I had a similar feeling in picking them up as I did with the Zane Gray book: they felt good in my hand. And within the covers, they were full of surprises. Most press printed photography books are standard, plain books, with pictures and words in them. The form is bland, and has little to do with the content. On the other hand, artist books often feature innovative book forms, but the content on the pages is weak or lacks cohesion and purpose. With Astra Velum, I wanted to create a book in which both the content and the form are meaningful, beautiful, and solid. I think we’ve achieved that. 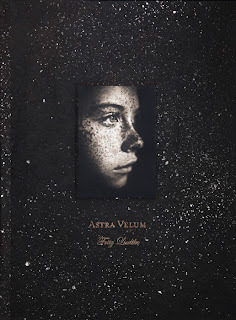 The custom cover paper references stars in the night sky—just as the title Astra Velum is Latin for ‘veil of stars’, itself a reference to the constellations of freckles on these faces. The essay text, embossed with warm inks into the paper, is reminiscent of the texture of freckled and flawed skin. 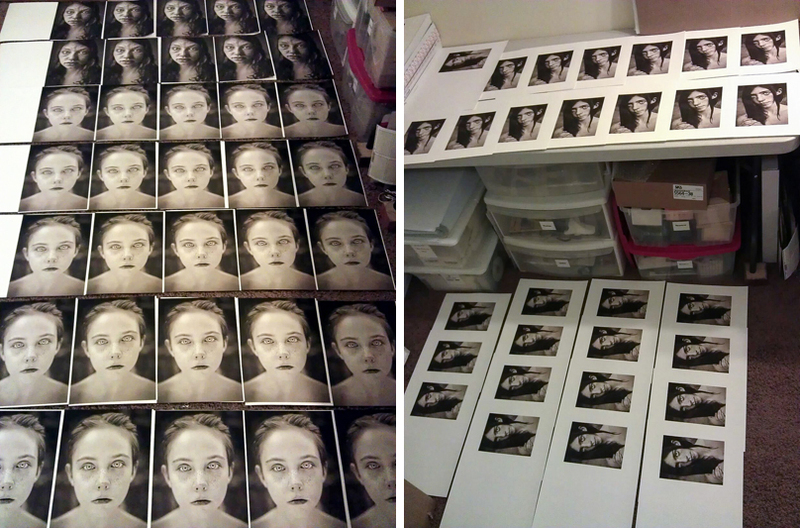 The intimacy of the portraits is heightened by the fact that you are holding them in your hand, near your own face. Ultimately, holding the book in your hands becomes an experience. More than merely looking at photos on a wall, or reading an essay in a magazine, opening the cover of Astra Velum becomes a way to enter in to the beauty and pain of the women whose stories are captured in the book. AK: What are your thoughts on handmade book vs. the variety of new publishing outlets that are available today? FL: Each book style has its place and purpose. 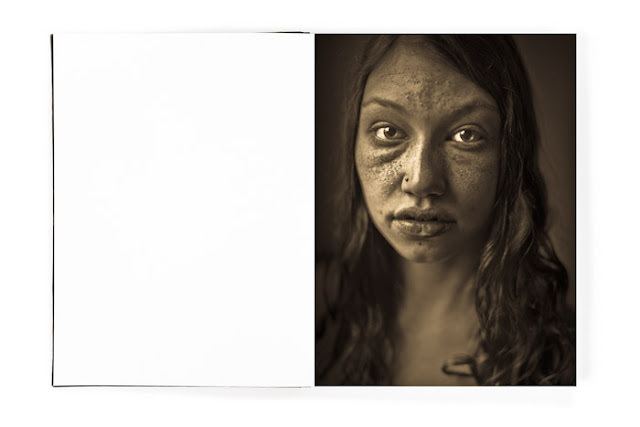 What I value about a handmade book is similar to what I love about photogravures: you can see the artist’s hand in it. Each book is absolutely unique; no two are identical. Also, when you hold a handmade book in your hands, you are touching something the artist touched and held. Perhaps it’s a bit mystical, but I like this. There’s more of a personal connection between viewer and artist. No machines get in the way. AK: Do you have any advice for photographers who want to make a handmade book? FL: If you have opportunity, talk with someone who has done it before, and get their thoughts on the process. Also, find someone to collaborate with. One of the sadder sides of photography is that it can be a very isolated working environment. Use a handmade book project as an opportunity to collaborate with bookmakers, authors, gallerists, papermakers, painters, printmakers, letterpress printers, and more. It’s a lot of fun, and the creative synergy can produce something far greater than you could have made alone. Also consider applying for a grant, or running a Kickstarter campaign to help fund the cost of the book. If you can pay for it out of pocket, great, but if not, invite others to join you in this adventure. 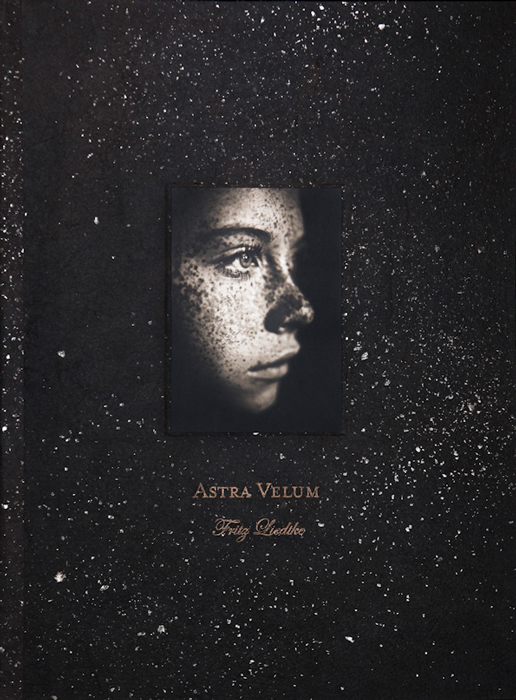 Astra Velum is available in three different collector's editions. See them all here. Prints from Astra Velum are available for purchase on the Photographer's Showcase, and are also offered as a portfolio. 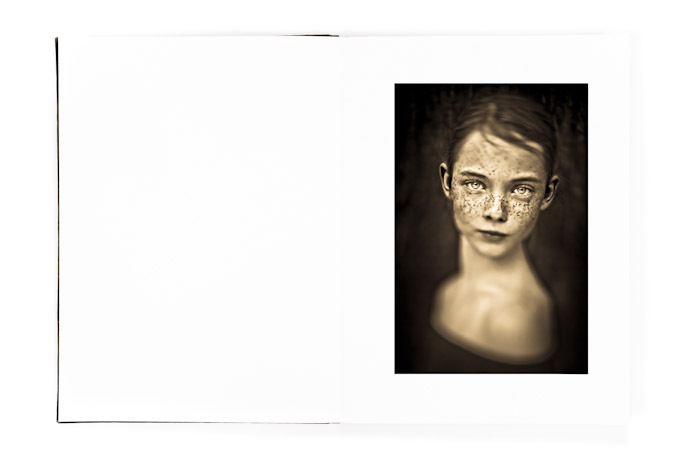 Read our previous photo-eye Blog post on Liedtke's Astra Velum series here.